JM Exclusive Furniture - an excellent template designed furniture theme for Joomla 2.5. He released a team of specialists Joomla Monster. Its design is modern, he worked efficiently, the composition includes three color schemes. It seems functional component DJ-MediaTools, with which you can create online image galleries and great slideshow. Also display images, it will carry video showing belonging to popular services Vimeo, Youtube. In the assembly template will include a directory component known DJ-Catalog. 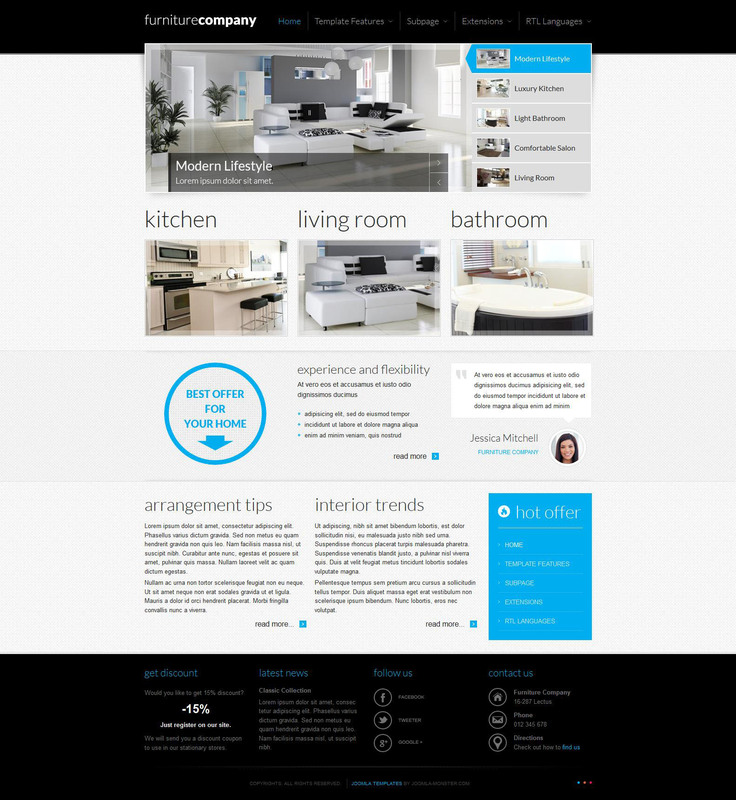 With this template, you can organize a detailed catalog of all furniture products. And it will be manufactured with a large number of functions. This template can be adaptive functions, annotated files and other.